1. Anderson, S.J. ; Merill, J.K.; Klopfenstein, T.J. Soybean hulls as an energy supplement for the grazing ruminant. J. Anim. Sci. 1988, 66, 2959 2964. 2. Weidner, S.J. ; Grant, R.J. Soyhulls as a replacement for forage fiber in diets for lactating dairy cows. J. Dairy Sci. 1994, 77, 513 521. 3. Depies, K.K. ; Armentano, L.E. Partial replacement of alfalfa fiber with fiber from ground corn cobs or wheat middlings. J. Dairy Sci. 1995, 78, 1328 1335. 4. Sunvold, G.D.; Cochran, R.C. ; Vanzant, E.S. Evaluation of wheat middlings as a supplement for beef cattle consuming dormant bluestem range forage. J. Anim. Sci. 1991, 69, 3044 3054. 5. Larson, E.M.; Stock, R.A.; Klopfenstein, T.J.; Sindt, M.H. ; Shain, D.H. Energy value of hominy feed for finishing ruminants. J. Anim. Sci. 1993, 71, 1092 1099. 6. Stock, R.A.; Lewis, J.M. ; Klopfenstein, T.J.; Milton, C.T. Review of new information on the use of wet and dry milling by products in feedlot diets. Proc. Am. Soc. Anim. Sci 2000, E20. (www.asas.org). 7. Klopfenstein, T.J.; Grant, R. Uses of Corn Products in Beef and Dairy Rations, Proc 62nd Minnesota Nutrition Con ference, Bloomington, MN, Sept. 11 12, 2001. 8. Firkins, J.L. Fiber Value of Alternative Feeds; Eastridge, M.L., Ed. ; Proc. Alternative Feeds for Dairy and Beef Cattle. 2nd Natl. Alternative Feeds Symp. ; Univ. Missouri: Columbia, 1995; 221 232. 9. Younker, R.S. ; Winland, S.D. ; Firkins, J.L. ; Hull, B.L. Effects of replacing forage fiber or nonfiber carbohydrates with dried brewers grains. J. Dairy Sci. 1998, 81, 2645 2656. 10. NRC. Underutilized Resources as Animal Feedstuffs; Natl. Acad. Sci. National, Academy Press: Washington, DC, 1983. 11. Nelson, M.L. ; Busboom, J.R.; Cronrath, J.D. ; Falen, L.; Blankenbaker, A. Effects of graded levels of potato by products in barley and corn based beef feedlot diets: I. Feedlot performance, carcass traits, meat composition, and appearance. J. Anim. Sci. 2000, 78, 1829 1836. 12. Harris, B. Value of High Fiber Alternative Feedstuffs as Extenders of Roughage Sources; Jordon, E.R., Ed. ; Proc. Alternative Feeds for Dairy and Beef Cattle; University Missouri: Columbia, 1991; 138. 13. Ammerman, C.B. ; Henry, P.R. 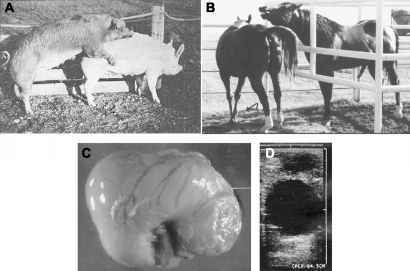 Citrus and Vegetable Products for Ruminant Animals; Jordon, E.R., Ed. ; Proc. Alternative Feeds for Dairy and Beef Cattle; University Missouri: Columbia, 1991; 103. 14. Fadel, J.G. ; Asmus, J.N. Production, Geographical Distri bution and Environmental Impact of By Products; East ridge, M.L., Ed. ; Proc. Alternative Feeds for Livestock and Poultry; The Ohio State University: Columbus, 2003; 1.